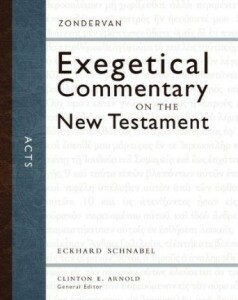 Here’s a very useful review of Eckhard Schnabel’s commentary on Acts in the Zondervan Exegetical Commentary on the NT series. 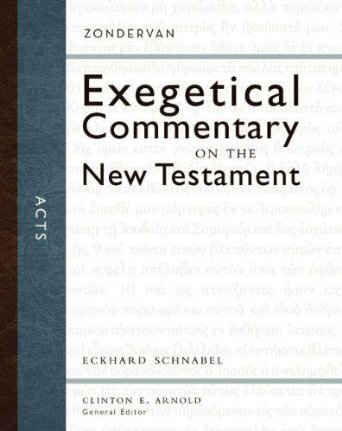 I’m enjoying engaging with this commentary, both for the careful analysis of and comment on the Greek text, and for Schnabel’s evident concern for what it means to read Acts today. 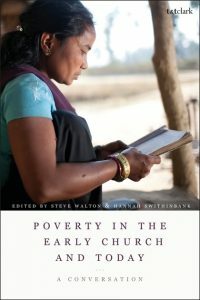 It’s thus helpful to have this careful and clear review by Daniel L. Smith of St Louis University—he does what good reviewers do: after setting the context of the book, he spends most of the review on describing what the book is doing. Bad reviews spend most of their time telling you what the reviewer thinks without doing this first! 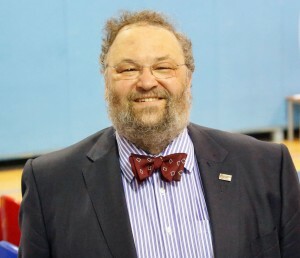 Thanks to Daniel Smith and (of course!) to Eckhard Schnabel for the work on this commentary. Incidentally, if you haven’t discovered the wonderful free service that the Society of Biblical Literature offers, of a regular email of new reviews on the online Reviews of Biblical Literature, it’s well worth subscribing to keep up with what’s being published in Biblical Studies. Go here to do that.